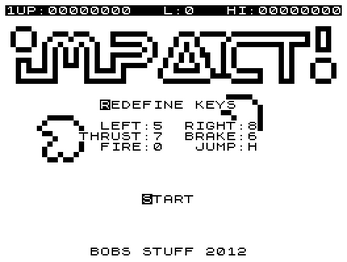 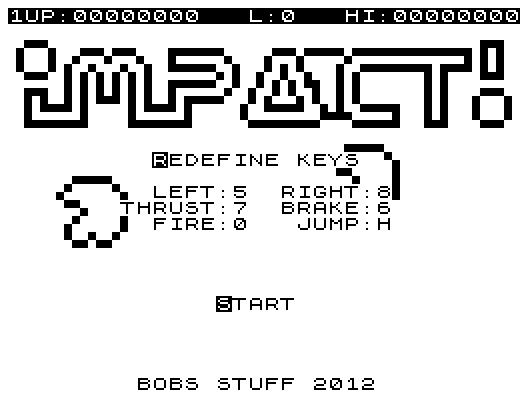 So, I decided to write Impact! 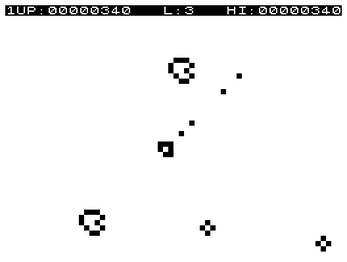 as my interpretation of the game - featuring smooth movement, fluid gameplay, player inertia (always loved rotating, thrusting, and firing all at the same time), and graphics which actually look something like the original arcade. 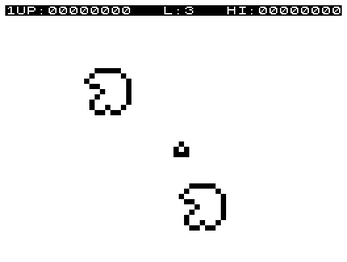 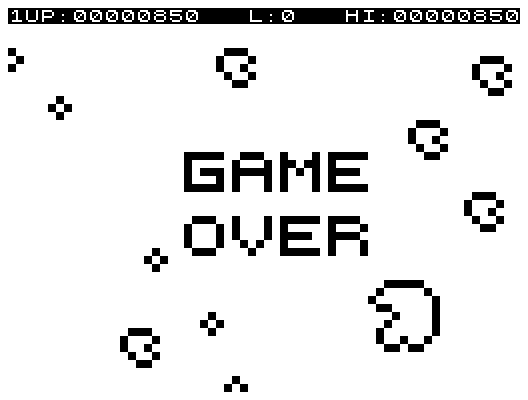 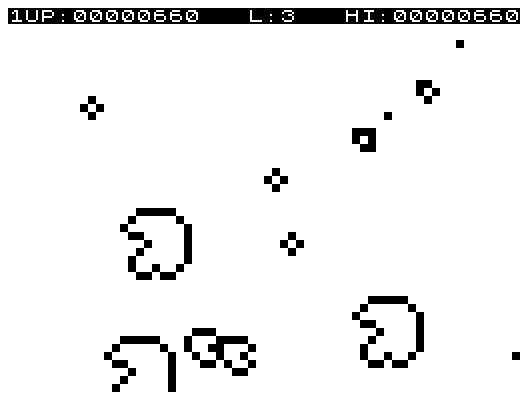 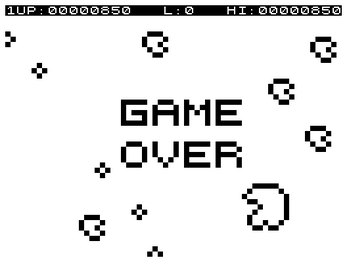 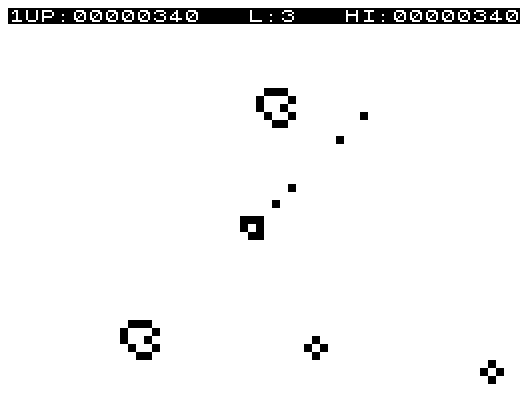 It is missing the enemy saucers which appeared in the arcade version, but given the smaller playing field (the 64 * 46 effective pixels) I don't think that is a huge loss as the game is frantic enough without them.